Dr. Morris Cerullo was raised in a Jewish Orthodox orphanage in New Jersey until the age of 14 1/2 when he gave his life to Christ. By 15 years old he was preaching three to four times per week in local churches. At 17 years old, he received a scholarship and graduated from the the New York Metropolitan Bible School in Suffern, New York. He also holds two honorary doctorates from Florida Beacon College and Oral Roberts University. After eight years of ministry, he went on his first overseas missions trip to Greece, and his international ministry was born. Morris realized that the key to reaching the world was to train Nationals to reach their own people. This vision and specific call from God has resulted in millions of Christian ministers being raised up to reach their nations. He has accomplished this goal by conducting Schools of Ministry around the world. Nationals with a heart to learn and lead come to be trained so that they can then go on to impact the lives of others through the ministering of the Gospel of Jesus Christ. In 1974, Helpline TV program was developed. In 1976, 80,000 (mostly black South Africans) showed up to witness the miracle-working power of God. In 1977, countless people in India were healed and saved by the all-powerful Word of God. In 1987, and estimated 300,000 French-speaking Africans attended a crusade where more than 50 deaf people were healed. In 1999, over 32 African nations attended a meeting in Lagos, Nigeria. In 2002, Dr. Cerullo established the World Prayer Center in San Diego. In 2011, Victory Today television program was launched. In 2014, Dr. Cerullo mobilized 2,000 churches, and trained 18,000 Nationals. In 2017, The Legacy Center was approved to be built in San Diego, CA. Through his ministry, Dr. Cerullo has seen the Gospel transform nations. For over 56 consecutive years, Dr. Cerullo has traveled to the Holy Land with a passion for God’s chosen people. 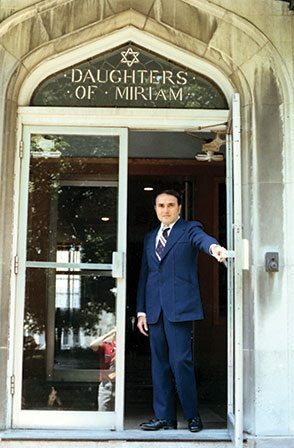 In 1968, Dr. Cerullo began his first campaign of reaching out to the Jewish population in Israel. In 1970, he launched a radio ministry that reached millions in nine surrounding nations. In 1975, he developed a TV special, Masada, which won three Golden Globe awards and generated 200,000 responses. In the early 1980s, Dr. Cerullo produced and aired three television specials from historic sites in Israel. Dr. Cerullo continues to travel to Israel every year, ministering the Good News of Jesus. He also provides assistance to churches and ministries so that they can expand their outreach and continue ministering to those in Israel. MCWE has provided aid to Ethiopia, medical assistance in East Africa, and helped build multiple orphanages in Mexico. We also provide many scholarships every year to up-and-coming Christian students around the world to attend ministry training classes. 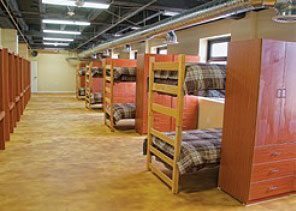 Most recently, Morris and his wife, Theresa Cerullo, partnered with Tommy and Matthew Barnett to build several floors of the Los Angeles Dream Center that houses 200 women who have come off the streets of Los Angeles, out of drugs, human trafficking, and prostitution. Dr. Cerullo has been presented with the key to San Diego and other cities in America, as well as having received letters of recognition for the work he has done in America and foreign countries, from mayors, presidents, and other governmental leaders. He also received the Lifetime Global Impact Award in May 2015. 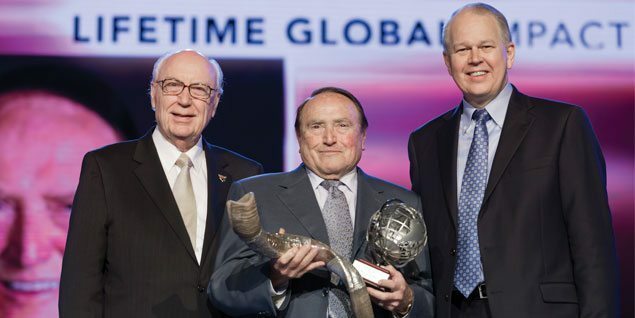 This prestigious award was presented by Oral Roberts University president, Dr. William Wilson, and Assemblies of God general superintendent, Dr. George Wood, at the Empowered21 Global Congress, in Jerusalem, Israel. MCWE has offices in San Diego, Dallas, London, Ontario, and Paris and employs over 100 staff members. 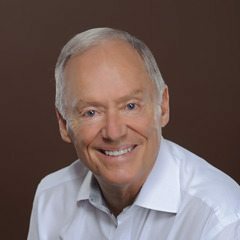 Founding pastor of Phoenix First Assembly of God Church in Phoenix, Arizona, chancellor of Southeastern University, and co-founder of The Dream Center, Pastor Tommy Barnett says: "Few men have touched and reached the world like Dr. Morris Cerullo. His sixty-five years of integrity, compassion, and anointing have inspired an army of ministers to follow him in carrying out the Great Commission." Acclaimed "pastor of pastors" and former president of the International Church of the Foursquare Gospel, Pastor Jack Hayford says: "The name Morris Cerullo will be absolutely linked to church history. He has demonstrated the power-life of Jesus Christ. Morris, your witness—by your life, by your ministering of the Word, and by being a dear brother in Christ, who manifests His gentleness and grace—is the evidence of God's anointing on your evangelistic and healing ministries." Well-known television Bible teacher, world missions leader, and Bible college founder and president, Marilyn Hickey says: "How you've blessed the world, and me personally! The first time I ever saw a leg grow was at one of your ministry meetings! I appreciate the power of God, your vision, and your stability throughout sixty-five years in the ministry! It is just awesome!" Founding pastor of the more than 22,000-member Word of Faith International Christian Center in suburban Detroit, Michigan, Pastor Keith Butler says: "The Lord has used you to impact millions of people we know about, and tens of millions more that we won't know about until we get to heaven! Thank God for the millions of people who have been saved, healed, delivered, and set free under that mighty cloud of anointing on your life and ministry!" One of today's foremost authorities on Bible prophecy, known as the "walking Bible," Dr. Jack Van Impe says: "Morris Cerullo, you are a dynamic preacher! What really blesses me is the heart that you have for men of God. Thank you for all that you've meant to the world, to ministers, and to me personally."